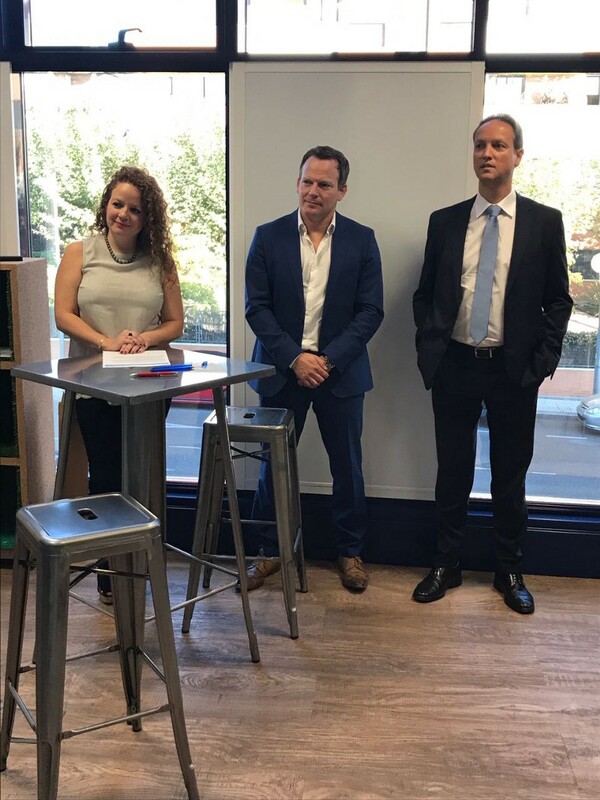 Since October 2017 the AppHaus family has grown: the Global AppHaus in Madrid, run by SAP partner Global TMS, is the newest member of the AppHaus Network! The SAP AppHaus Network is a community of creative space owners following the values and principles of the SAP AppHaus. Its goal is to promote design mindset, design work, design thinking, and creative space as topics central to modern businesses by sharing experiences and best practices among its members. Global TMS, founded in 2008, is an SAP partner, located in Majadahonda near Madrid. They have 80 employees who drive projects, design, and implement software. 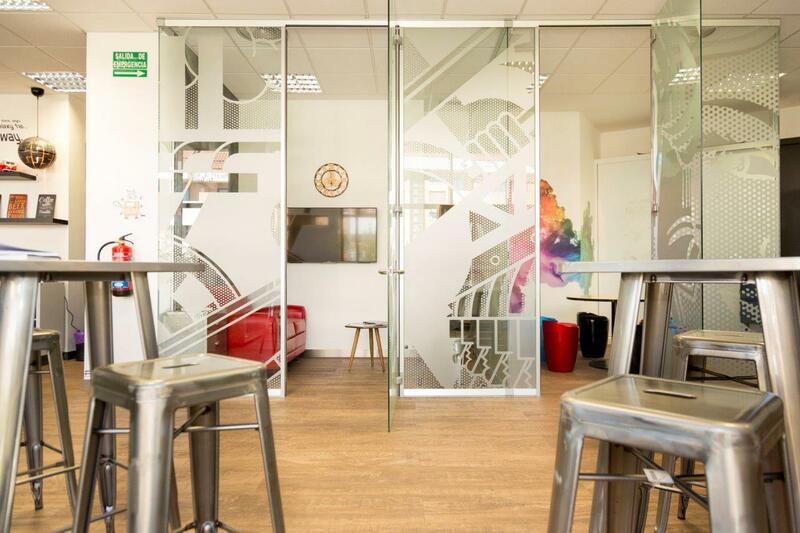 Their Global AppHaus offers roughly 120 square meters where Global TMS‘ coaches can run Design Thinking workshops for up to 30 people. Looking back to our first meeting in June, it seems like a little wonder how quickly we were able to get this new member of the AppHaus Network on board. Many things had to be done before the opening in early October, from hashing out the details of the partnership, to the AppHaus team visiting and qualifying the team in Madrid, and renovating the space to enable creative collaboration with customers. 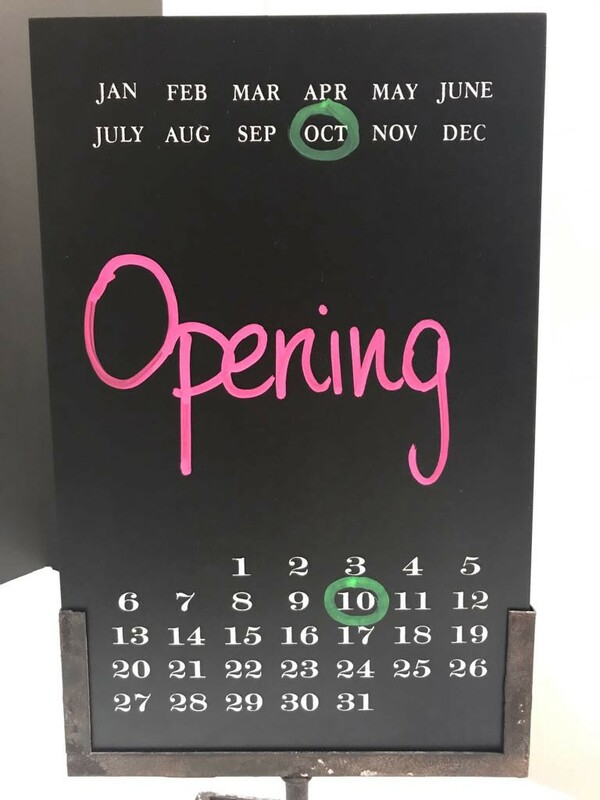 Seeing that August is traditionally vacation time in Spain, it effectively took us only a little more than eight weeks to make this membership in the SAP AppHaus Network a success! When we first met Eugenia Rodriguez and Roberto Schuitemaker, founders and owners of Global TMS, it became instantly clear that they share not only our passion for human-centric software design, but also our mindset and values. 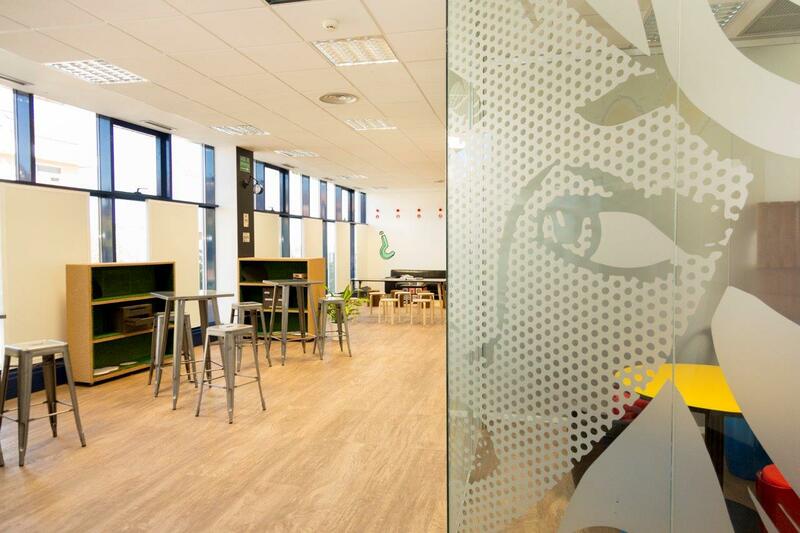 We started discussing the idea of a new creative space for GlobalTMS, a notion very much welcomed by SAP España who had already been collaborating with the prospective member of the AppHaus Network. The next step was to qualify whether space and skills in GlobalTMS’ team were up to the requirements for a member of the AppHaus Network. When we visited the Global TMS offices in Majadahonda near Madrid in July, we got to experience a warm welcome (warm indeed as it happened to be the hottest week of the year with temperatures above 45°C). On site, we met several of their designers, researchers, and business developers. They told us about some projects they particularly cared about and again we felt a similar set of values to that of the AppHaus team in how Global TMS approach their projects by always putting the human side of the technology project in focus! We also got initiated into Roberto’s secret room: a small office space with a lot of big and small boxes full of gadgets and creativity toys — from the latest VR gear, Star Wars gadgets to classic LEGO® kits. You should have seen the smile in Roberto’s face when he explained that from now on all those little things will have a prominent place in the Global AppHaus. Eliana, one of the designers at Global TMS, took over the task to design and furnish the creative space to be known as the Global AppHaus. 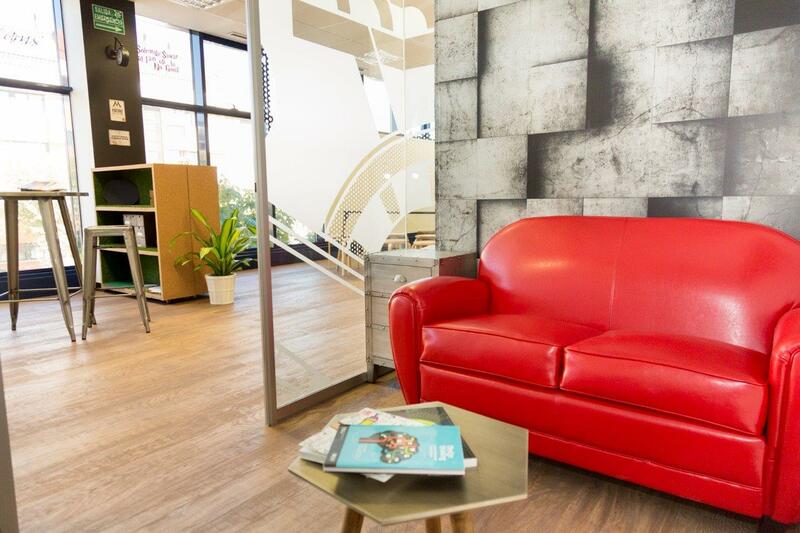 Similar to the team of the SAP AppHaus in Heidelberg, Eliana made it her goal to create an inspiring, friendly, welcoming environment that helps workshop participants to ease into the space and find a calm and inspired outlook for the work ahead. During the opening, Andreas Hauser (SVP and Head of the SAP AppHaus Network) and Joao Paulo Da Silva (Vice President & General Manager for Spain, Portugal and Israel) both stressed how important innovation capabilities are when it comes to helping customers achieve the full potential of their relationship with SAP. 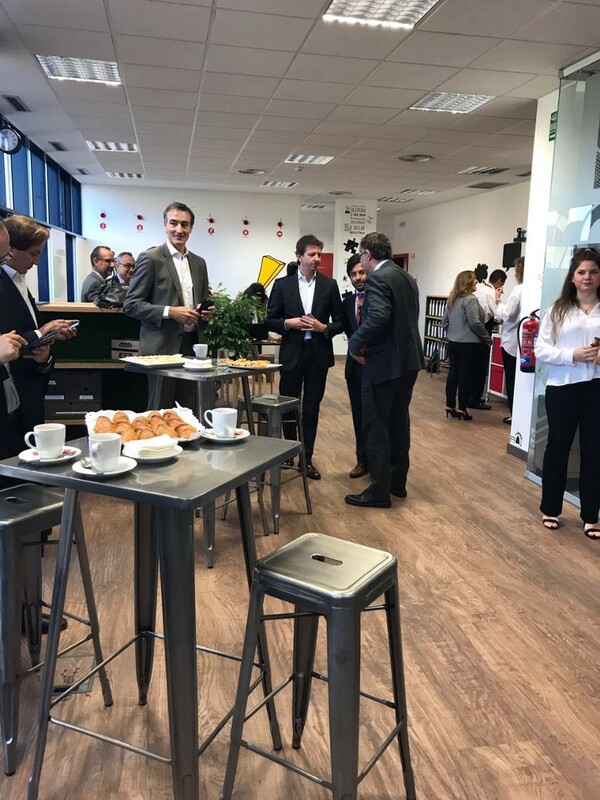 The Global AppHaus will be the SAP AppHaus Network’s representative in Spain, enabling local collaboration and co-innovation with our customers. What makes the collaboration with Global TMS special is that it feels less like a business relationship, but rather like an exchange between peers and friends — sharing the same values and mindset with their focus on the human aspect in every software development project. SAP Design and the AppHaus team feel very confident that the Global AppHaus will help us scale our vision of more humane business software through creative collaboration … with motivated, enthusiastic people, using a design driven process, in a creative space! Felicitations and I wish you good luck!